LONDON — Former British Foreign Secretary Boris Johnson is facing a Conservative Party investigation over a column comparing women who wear face-covering veils to mailboxes and bank robbers. The Conservative code of conduct says members should "lead by example to encourage and foster respect and tolerance." Johnson, who quit the government last month in a dispute over Brexit, wrote in the Daily Telegraph this week that it was "absolutely ridiculous that people should choose to go around looking like letter boxes." He said he opposed banning burqas and other face-covering garments worn by some Muslim women, but referred to a woman wearing the attire as "looking like a bank robber." Johnson's comments were criticized by Muslim groups and politicians including Prime Minister Theresa May, who urged Johnson to apologize. He has not said sorry. Tousle-headed Johnson is one of Britain's best-known politicians, a popular but divisive figure known for Latin quips and verbal blunders that have included calling Papua New Guineans cannibals and accusing people in Liverpool of "wallowing" in victimhood. Critics claim Johnson is using the burqa comments to boost his appeal among right-wing members of the party. 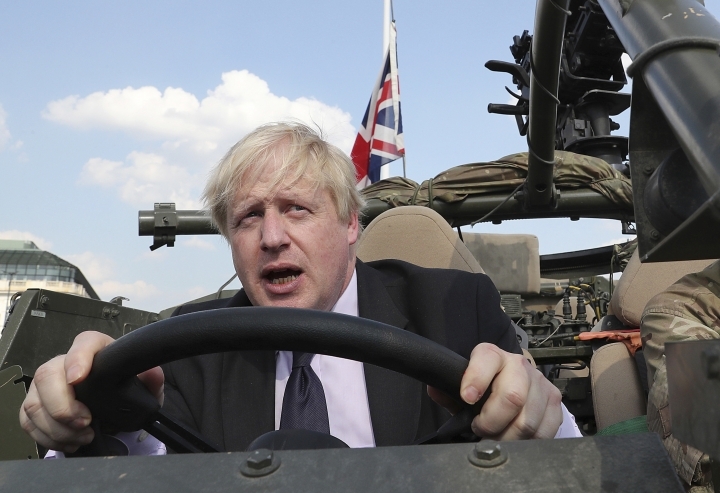 Many expect May to face a leadership challenge soon if faltering Brexit negotiations with the European Union don't improve — and Johnson is likely to be a contender to replace her. He is popular with the pro-Brexit wing of the Conservative Party, which is deeply divided over its attitude to the EU. His Brexiteer credentials were bolstered when he resigned as foreign secretary in July, accusing May of killing "the Brexit dream" with her plan to seek close economic ties with the bloc after Brexit next year.